Make mother's day weekend special! 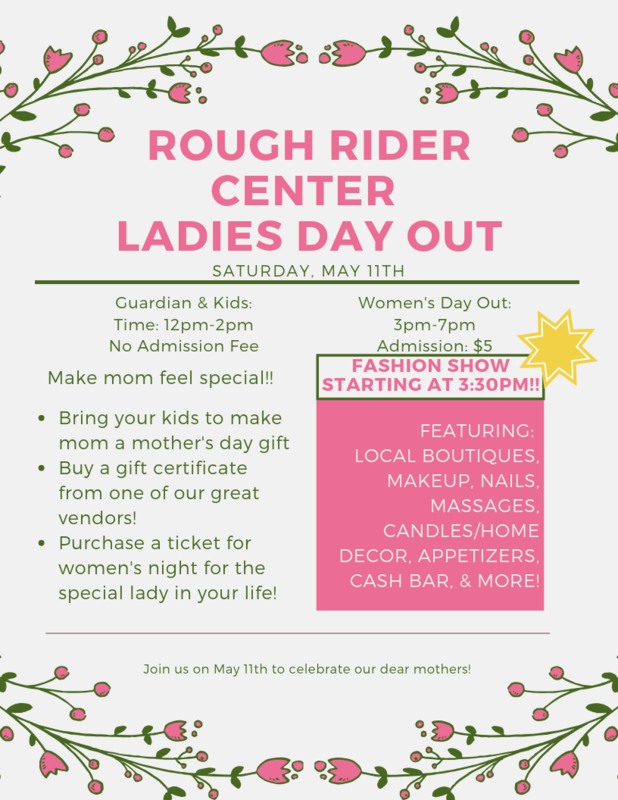 On Saturday, May 11th the Rough Rider Center is inviting local boutiques, makeup & nail vendors, massage therapists, candle/home decor shops, refreshments, & more! Dads and Kids are welcome from 12-2pm to make mom a mother's day gift, buy a gift certificate from one of our great vendors, and purchase a ticket for women's night for the special lady in your life. Women are welcome from 3-7pm to shop around and maybe even get their name drawn for a fun door prize!